Aston Harvey of Breakbeat outfit Freestylers. This week, our sonic microscope is zooming in on breakbeat, which means not drums but melodic sounds, too. This is a genre that covers a lot of ground, so to give you an idea of what each of our sample kits contains, there are demo mixes for you to listen to below. The samples are split across four construction kits, each of which contains breaks, basslines and synths (some contain FX sounds, too). As well as loops, there are single hits and multisamples. 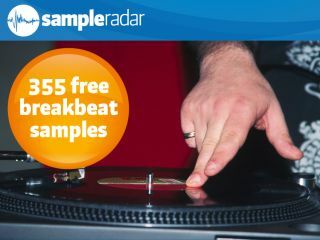 The breakbeat kits are supplied as separate zip files, so you'll need to extract them before you can see the samples. Enjoy!